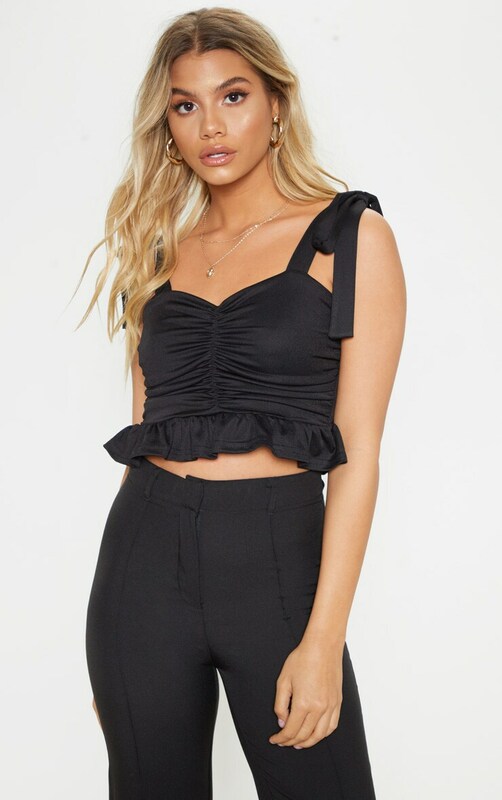 We are obsessing over this crop top it is perfect for dressing up or down. 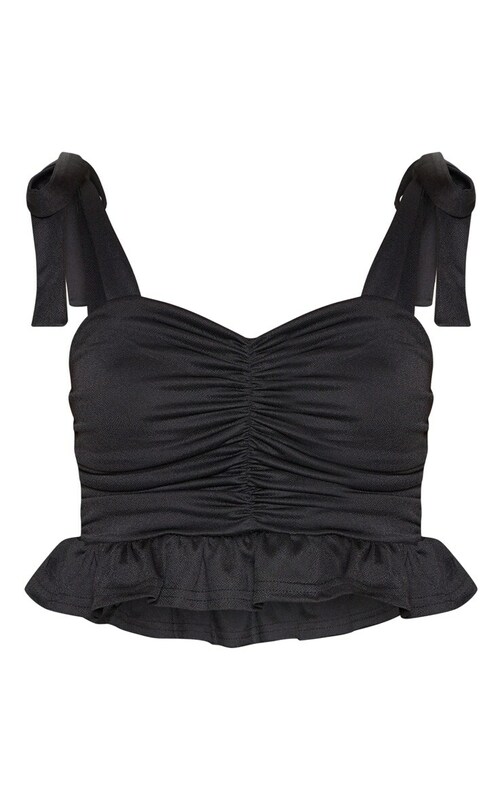 Featuring a black material with ruched detailing, tie straps and a cropped length. Style this with wide-leg bottoms and strappy heels for a day to night look.